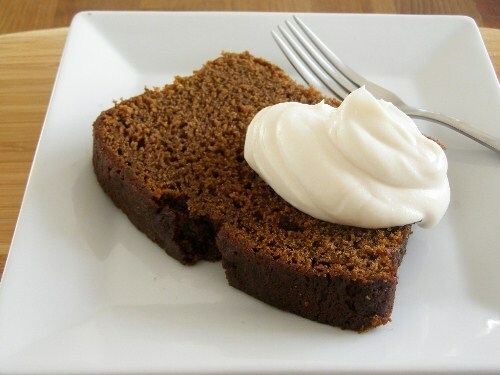 So, this is a continuation of the blog post I did back in May of this year of other blogger's recipes. Something I do not do as often as I should! One is from a blog that is no longer available and the other is from a restaurant's website. Both are amazing and we now have them regularly - well, maybe not the brownies regularly ;-) Honest!! 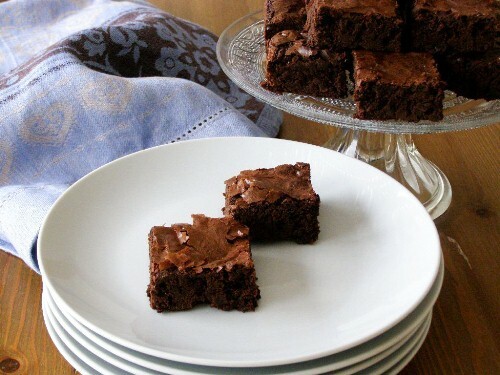 Super Fudgy Brownies - originally from the (now gone) blog "Not A Rabbit" reposted at "Cooking Vegan Food Up North"
I have so many people to thank for this recipe. First, the original author of the blog "Not a Rabbit" - unfortunately I had never seen this blog and it's now gone, sad, because if this brownie recipe is anything to go by it must have been a good one! Second, Fanny at "Cooking Vegan Food Up North" for saving the recipe and reposting it, and third, Julia at "Snarky Vegan" for tweeting about this recipe and providing the link to it. I cannot tell you how happy I am to have this recipe in my life. You may have noticed that despite having over 250 recipes on this blog I don't have a basic brownie recipe. This is down to me searching for the perfect one, I tried so many, and to be fair they were all good. I mean a brownie can't really be bad can it?!? But I really wanted that crackly thin skin topping ALL good brownies should have, as well as a really dense super fudgy texture bursting with full on chocolate flavour. This one ticks all those boxes. So the search is over and this one is so perfect in every way I'm not even gutted I didn't come up with it!! 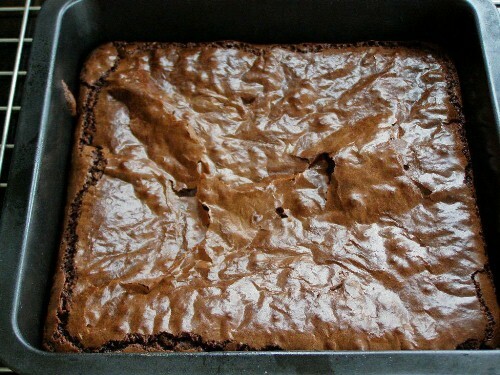 It really is the BEST brownie recipe. EVER! I hope this is ok but as the original blog is gone I'm also going to post the recipe here because I have converted the one posted at Northern Veg there into grams and ml's for those of us on this side of the Atlantic. I also didn't have vanilla sugar so added some vanilla extract. Just click on the recipe link above to get the original in cups if you prefer. Line a 7 or 8 inch square baking tin with baking paper, mine was actually 6 inch, and preheat the oven to 180C. Place the sugar in a blender and whizz until it's a fine powder and tip into a large bowl. 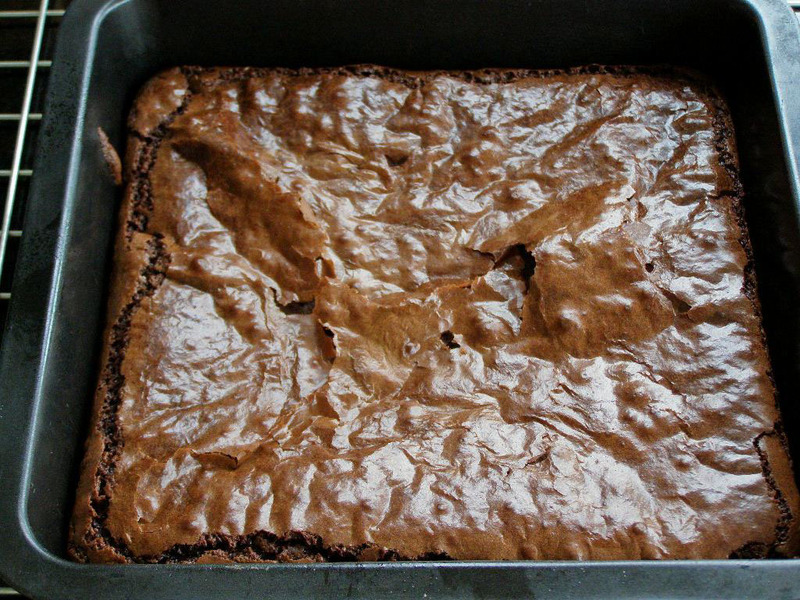 As the original poster states, do not omit this part, it's what gives the brownies their crackly topping. I also thought I would just omit this step and use caster sugar instead but I'm glad I didn't. Granulated sugar blended comes out somewhat in between caster and icing sugar so I'm sure this step is essential, at any rate it's dead simple! Mix together the flour and sifted cocoa powder and set aside. Pour the oil, chocolate soya milk and vanilla into the sugar and mix well. Melt the chocolate in the microwave and quickly whisk into the oil/sugar mixture. Quickly stir in the flour/cocoa mixture and mix well with a wooden spoon until it all comes together. Pour/scrape into the prepared tin and bake for 15 - 20 minutes or until a toothpick inserted in the middle comes out clean. Mine took 20 minutes in a fan oven. Leave to fully cool then refrigerate for a couple of hours before cutting. It wasn't explained why this is but I think if you try and cut them whilst warm they might just fall apart. I did as told and they came out perfect, once I cut them though I stored them at room temperature. Cut into whatever size you like, I got 16 small squares out of this as even though they are small, they are 140 calories per square ;-) SO worth it though! Demuth's is a Vegetarian restaurant in Bath, England who also have a blog. Sadly despite living in England for 12 years we never got the pleasure to eat there. Thankfully I follow them on twitter and one day they tweeted a link to this recipe on their website. I knew I had to try it right away as it had all my favourite flavours there and just sounded amazing! 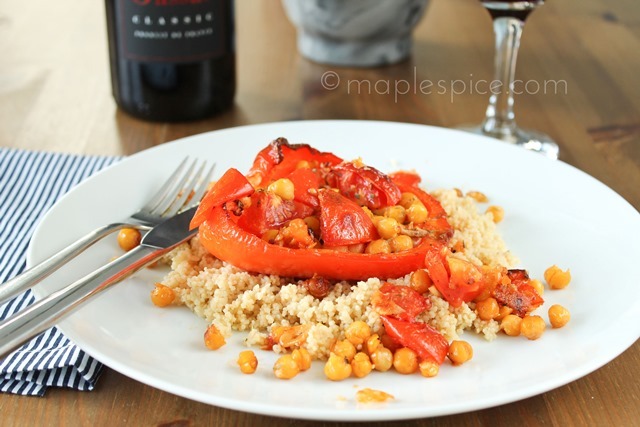 This is absolutely delicious, so simple, versatile and now on our regular dinner rotation. 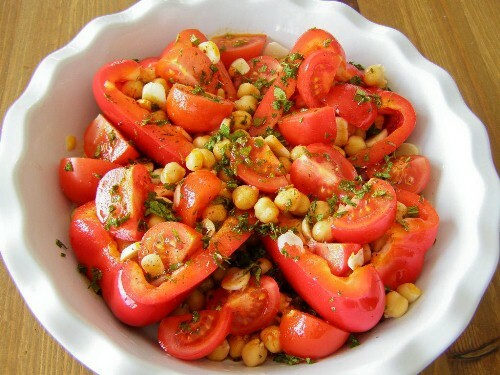 Once, I had no cherry tomatoes but had mushrooms so added those instead, it was equally as good. So good in fact I now add both mushrooms and tomatoes on most occasions. They recommended a side with it and I opted for a lemon couscous which I think goes lovely with the flavours in the slow roasted peppers. So there you go, a couple more outstanding recipes found online, mostly thanks to twitter! 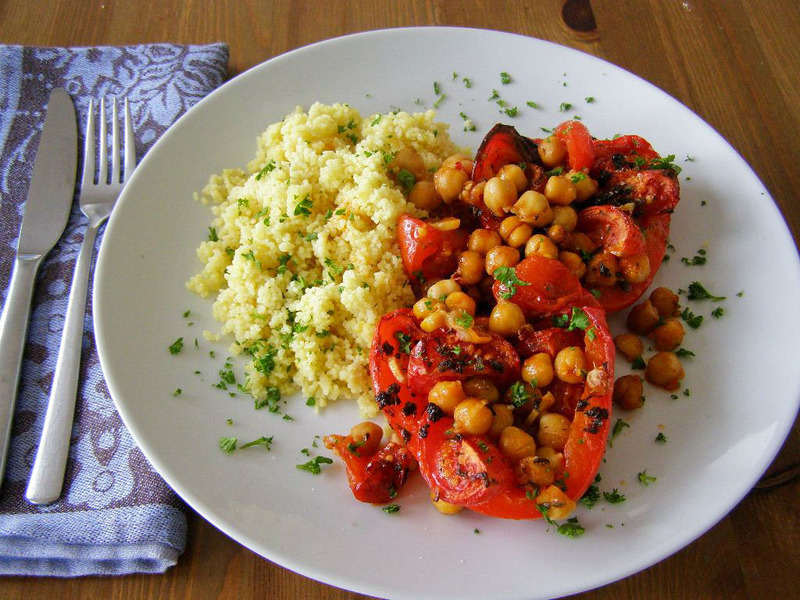 I keep looking at these two recipes here thinking, damn, that would make a fine meal, roasted red peppers and couscous and brownies for dessert :-) Being vegan is fantastically tasty! This photo is from Feb. 2013 - we are still loving it! As you can see we have a reduced portion these days though, just half a pepper each. I also now use wholegrain couscous which works just as well. I was also very honoured to be given a 'Liebster Blog' award by Sophia over at 'What Your Momma Didn't Know' (BEST Blog name EVER!!) :-D Thank you so much! 1. Show your thanks by linking back to the blogger who gave it to you. 2. Choose 5 of your picks and let them know by leaving a comment on their blog. 4. Enjoy the blogger love! I've decided to use this opportunity to pimp some great Irish Vegan Blogs, here they are! ...and I think that's it! If I am missing any Vegan Irish Blogs here, please let me know, would love to connect! No problem :-) Hope to see you blogging again soon! Funnily enough we just finished off a tray of those brownies also with peppermint extract, I added 1 tsp - they were really, really good - hope you like yours! Just out of curiosity, did you ever try making them without blending the sugar? I'm not a fan of crackly brownie tops, so am wondering if they'd turn out with the same texture etc and a flat top if I left out that step?! The brownie is looking promising in the oven. But do you know why this recipe requires no baking soda? Or baking powder? Thank you!!!! Hi! Hope they turned out well for you :-) I think this is to ensure they have a really nice, dense fudgy texture, baking soda or powder would make them a little more 'cake like' in consistency. Oh I see. Thank you. I left it in the fridge overnight and will take it out soon to thaw. Thank you again!